RVing has been an activity that families have loved doing together for years. Not only does it increase family bonds, but it also creates long lasting memories that you can share with your kids and grandkids one day. It’s no wonder that many people like to start RVing with their little ones early on. Like everything else, traveling in an RV with a baby requires patience and plenty of planning. These 5 hacks will help you have the peace of mind about bringing your bundle of joy out on the road with you. There are a lot of spaces that a little one shouldn’t be getting into when in an RV. Luckily, most RVs are pretty well baby proofed as is. Drawers and cabinets typically come with security latches of some sort. These help to prevent curious little hands from getting into things they shouldn’t. There are other areas that could pose danger as well. Use a baby gate to block off the stairs and areas like the kitchen where babies can get into trouble if unsupervised. Okay, okay, we don’t want our kids getting addicted to technology at such a young age but there are times where you are driving on the road for hours at a time and children get restless. Whether they’re at the stage of watching videos with lullabies or they’re already hooked on YouTube, having a tablet can be a lifesaver. But sitting there and holding it for them can be uncomfortable. Having a tablet mount that hooks up to the back of a seat helps keep them occupied. If your baby is a light sleeper, a noise machine will be life changing to have on your RV trips. The walls of an RV are typically paper thin and if your neighbor closes their car door, you’ll hear it. If the wind is blowing strong at night, you’ll hear it. This easy-to-pack item is especially useful if your baby is still napping during the day. You won’t have to worry when the neighbor’s dog starts barking! Whether you’re looking to rent an RV or buy one, look into getting a toy hauler. Typically used to house toys like ATVs, these RVs have extra space that you can use for many purposes. Set it up as a nursery, an office space or use it for extra storage. You can easily fit a full-sized crib on one side, and store baby’s clothes and toys on the other. So we’ve covered a few things inside of the RV but going RVing is so much more than that. It’s about disconnecting from distractions to reconnect as a family. It is all about visiting new destinations and going outside to explore nature and all that it has to offer. Having a carrier that will allow you to take baby with you without breaking your back or having to push a stroller over rough terrain is key. A backpack carrier will allow you to see the world without having to stop every few minutes. Most carriers come with adjustable settings to fit your baby’s size and age. Some of the backpack carriers designed for hiking are extremely comfortable and make it easy to carry baby hands-free. This brings so much more freedom to the trip. Baby is at everyone else’s level and able to see and participate from the security of the carrier. With a little preparation and patience, traveling with baby by RV can be a piece of cake. Make it easier on yourself by packing the equipment you need. Many baby items can be rented so you don’t have to buy or pack them for the brief duration of your trip. The flexibility of an RV allows you to create the perfect home-like setting so your baby’s first RV trip is stressful-free. We hope you put these hacks to work to help make your vacation more enjoyable. Soon you’ll be making RV trips with the family a regular thing! 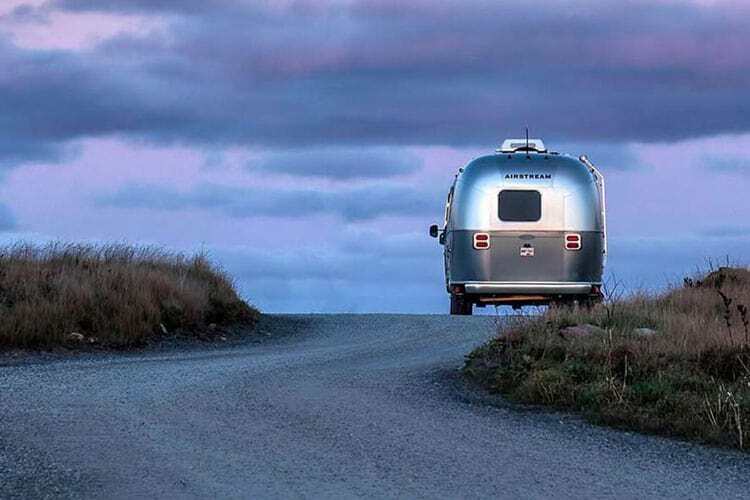 If RVing is on your family travel bucket list, check out the RV rentals at Outdoorsy.com. 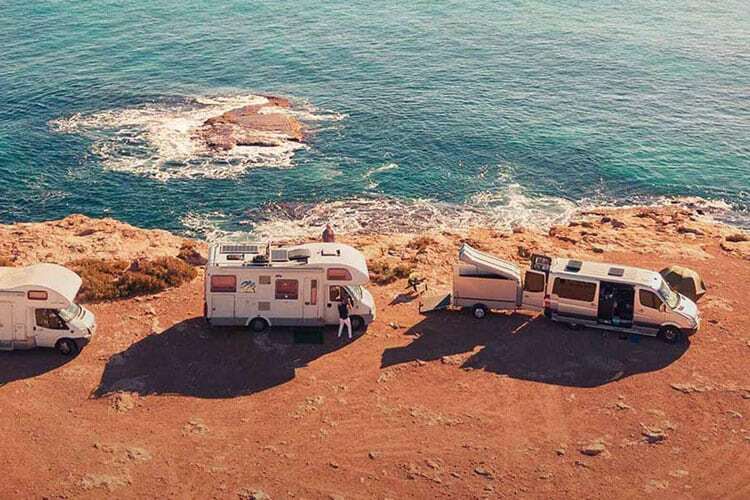 You’ll find the perfect RV solution for anywhere you want to go…even Hawaii! Everything is super simple, easy and fully insured. **This blog was written by our friends over at Outdoorsy. Hope you enjoyed! Jennifer is the marketing manager at BabyQuip. She is constantly trying to reinvent awesomeness through written copy, visual appeal, social media content and custom ads.